Textron Aviation Inc. is bringing enhanced flight deck capabilities to new production Cessna Caravan and Grand Caravan EX turboprop platforms in 2019. The features include new standard and optional equipment as part of Garmin’s G1000 NXi next-generation integrated flight deck. 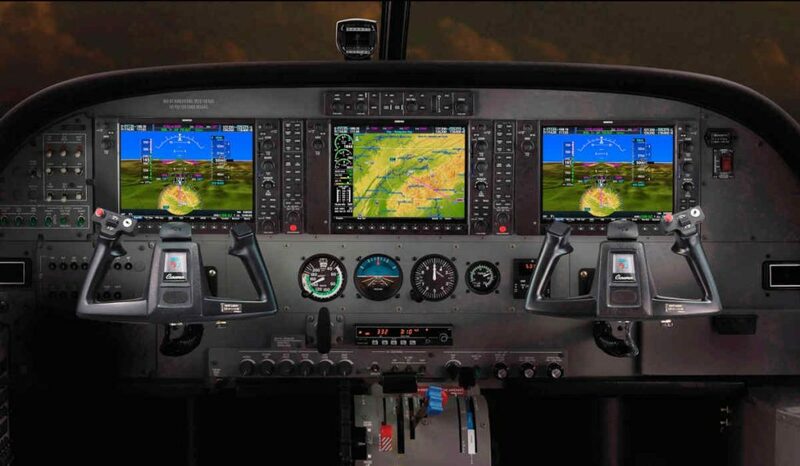 Options new to the Caravan series include Garmin’s Enhanced Automatic Flight Control System (E-AFCS), which the company describes as being designed to help pilots retain an optimal envelope. The added features include Electronic Stability and Protection (ESP), Underspeed Protection (USP), Emergency Descent Mode (EDM), Coupled Go-Around and an auto-level function. Other options to the new flight deck capabilities include Garmin’s GSR 56 Iridium Satellite Data Transceiver Link, which Textron describes as providing near worldwide access to downlink weather services, as well as satellite voice communication and text message capabilities. New standard equipment also includes dual audio panels with 3D audio capabilities, which, according to Textron, spatially distribute audio sources and simulate how the human ear naturally hears and processes directional sources. Textron continues to explain this feature allows flight crews to focus their attention on a preferred audio source and enhances situational awareness by reducing confusion or delayed response time that can occur when hearing multiple audio sources simultaneously.